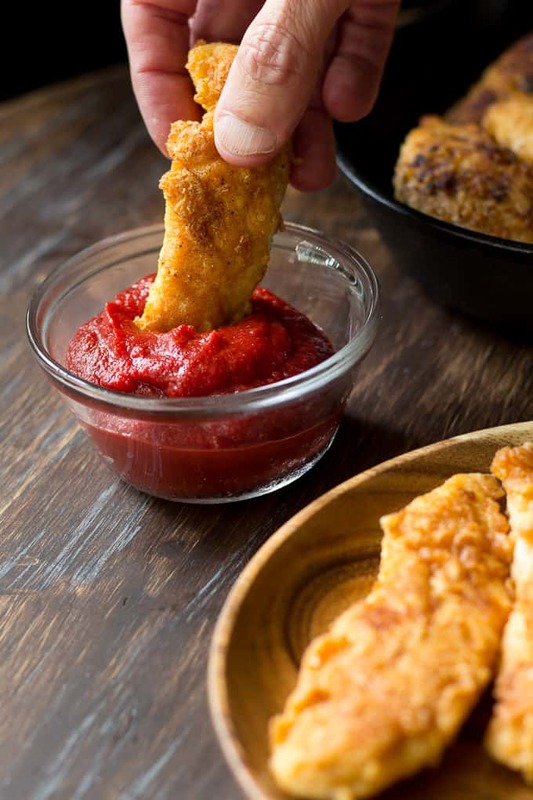 These Crispy Paleo Chicken Tenders will blow your mind and tastebuds! They are Whole30 friendly nut free, grain free, sugar free – “breaded” with a mixture of cassava, coconut flour and savory spices. 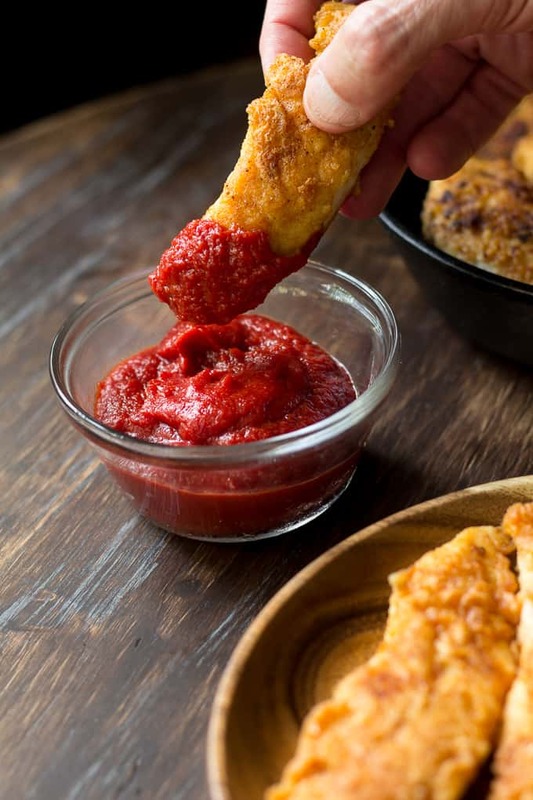 Super kid friendly and great with all your favorite dips! Well hey there! Can someone remind me what day it is?! We’re officially back from Hershey Park (at least physically) and that means I can stop trying to be fun mom and go back to being boring tired mom. Phew! Being fun mom is harder than you might think, especially when it involves going on rollercoasters PLUS trying to keep my eyes inside their sockets when my kids are eating cookie ice cream sandwiches larger than Adam’s head (no joke) and trying not to cry while reading the ingredients in those make-your-own-Hershey bars. I was good, really, I was! And, everyone had tons of fun, which means that mommy had tons of fun, too. Even though I definitely loosen up when we’re away from home with food rules and such, I have limits, for sure. One of those limits is fried food, like chicken tenders and fries. 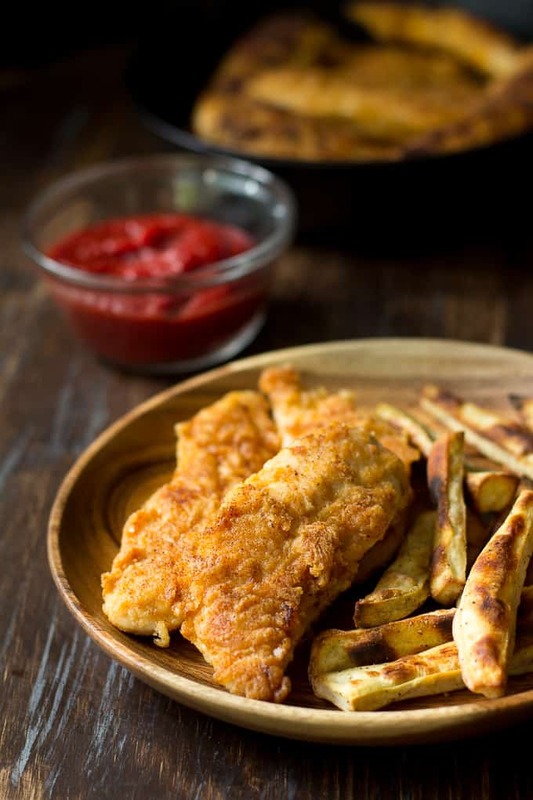 I swear, it seems like every time I’ve allowed my kids to eat chicken fingers and fries their little tummies rebel, and now I just have to say NO altogether, for my own sanity and of course their health. 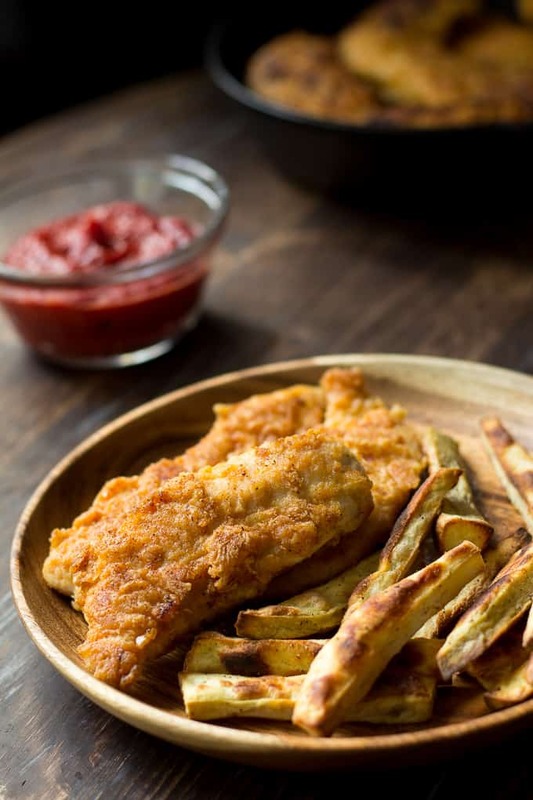 Luckily at home, crispy chicken tenders with fries are not only a whole lot healthier, but also really easy to make! 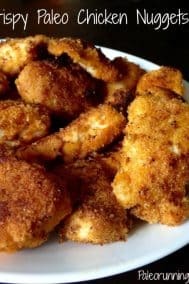 I’ve experimented with many different variations in “breading” and spices, and this recipe today for crispy paleo chicken tenders are the favorite so far. Yes, these chicken tenders are still fried, but I use refined organic coconut oil to pan fry to just the right amount of crispiness. The cassava and coconut flour blend makes these nut free and high in fiber as well! If you haven’t yet tried cassava flour, I highly recommend it! It’s ground yuca (cassava) root, and very starchy yet grain free. 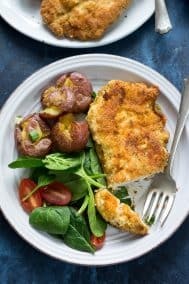 It gets very crispy and pairs with coconut flour so well for these chicken tenders! 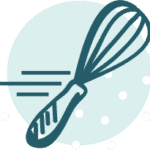 Cassava flour also works great in so many baked goods. For a totally different recipe involving cassava flour, check out my cookie dough truffles! Crispy Paleo Chicken Tenders that are Whole30 friendly and nut free, "breaded" with a savory mixture of cassava, coconut flour, and spices. Very kid friendly and totally grain free, dairy free, and sugar free! Great alone or with baked fries and your favorite dip! In a large bowl, combine the cassava flour, coconut flour, salt, and spices. In a small bowl, whisk your egg. For this recipe, you will be coating the chicken in the egg, then grain free flour/spice mixture, and then pan frying. Test the oil by dropping in a tiny bit of the breading to see if it sizzles. Adjust your heat accordingly. Cook on one side until golden brown and crisp, then carefully turn each one over to cook the second side. Add up to 2 tbsp more cooking fat if necessary, and adjust the heat either up or down for even browning. 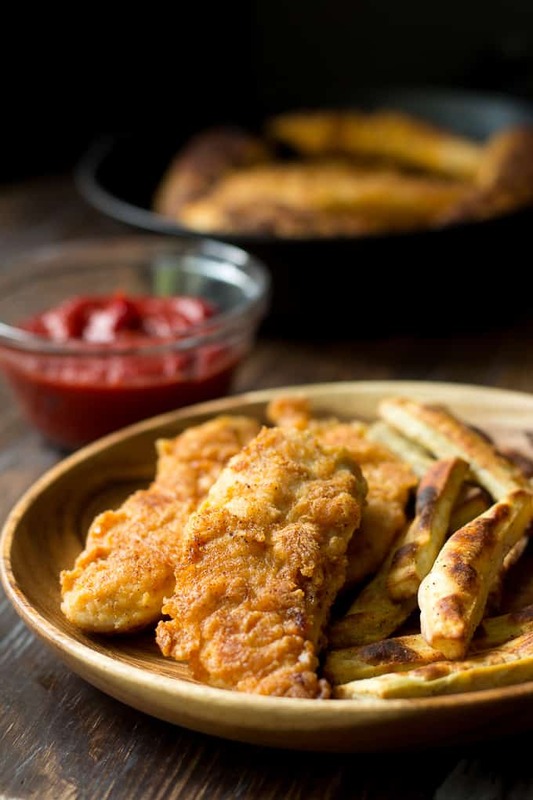 Once both sides are evenly golden brown and the middle is cooked through, transfer the chicken tenders to a baking sheet lined with paper towel to drain excess oil. Repeat the process for the remaining chicken tenders, adding more oil and adjusting heat if necessary. Serve hot with your favorite dip. Enjoy! Leftovers can be stored in the refrigerator for up to 3 days, and reheated in the oven to retain the crispy exterior. ***You can fry the chicken in batches if your skillet isn't large enough to accommodate. 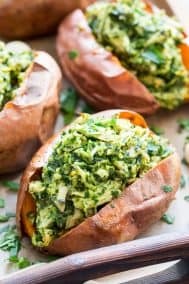 Want more kid friendly Paleo dinner recipes? Try one of these! What are your limits with your kids when out to eat? What’s your favorite healthy kid friendly dinner? I am glad you guys had fun! love those giant make your own Hershey bars! 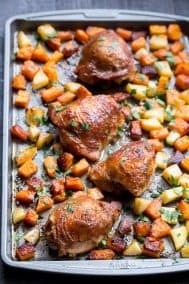 i don’t eat chicken but your chicken recipes always look so good to me! The kids are definitely not forgetting about their bars! Glad you had a good time at Hershey! I definitely think these would be husband-friendly. I make something similar but now I want to give this version a try. Definitely recommend the cassava – it’s the closest to white flour that I’ve found! That’s exactly how my son is – he literally will not eat a veggie at this point besides sweet potatoes! He eats a lot of fruit though, and I guess it could be a whole lot worse. Those look great. I will be trying them for sure. My three year old refuses to eat anything when we’re out – unless it’s a cupcake. People look at me like I’m crazy when I don’t order food for her – I try to convince her to have a few bites of whatever I’m eating. On the bright side – she doesn’t like french fries, chicken nuggets or grilled cheese. 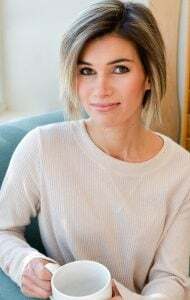 Her favorite healthy kid dinner is breakfast – especially if bacon is involved. I think it sounds like she has pretty good taste in food, lol! I should do more breakfast for dinner around here, always forget to bring out the bacon then! I made these AIP compliant and they are fabulous! Thank you for the great recipe! Instead of egg I dipped them in coconut milk, coated them with the cassava/coconut flour mix, dipped in coconut milk again, then the flour mix. Instead of frying I brushed each side with EVOO and baked at 400. They turned out perfectly crispy and the breading was to die for! These are hands down the best chicken strips I have ever had – and I have eaten a regular diet, gluten free, paleo and now AIP. Another one that is SPOT ON, thank you! 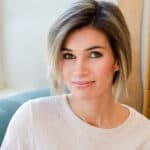 As I’ve told you before, being paleo but having a nut allergy in the house (when he’s home from college…) can be rough when it comes to baking or coating things so I cannot express enough how much I appreciate the nut-free recipes you’ve created! Husband commented that he preferred this one to others because the coating doesn’t fall off or separate – I’m guessing that’s because of the fine-ness of the cassava – but regardless it was loved by all. Next time I might soak the tenders in pickle juice overnight before doing the egg wash/coating to get that Chick Fil A taste 🙂 Thank you! So thrilled you liked these, I’m interested in the pickle juice – would love to hear how that goes if you try it! Those fries look amazing too – where’s the recipe? We had a hankering for chicken strips. Came to your site, cuz I knew you wouldn’t let me down with a family friendly option. Followed as written. Delicious!! Child and hubby approved. 2 weeks ago my family went grain free, sugar free and dairy free. My children have always loved Chicken Milanese. 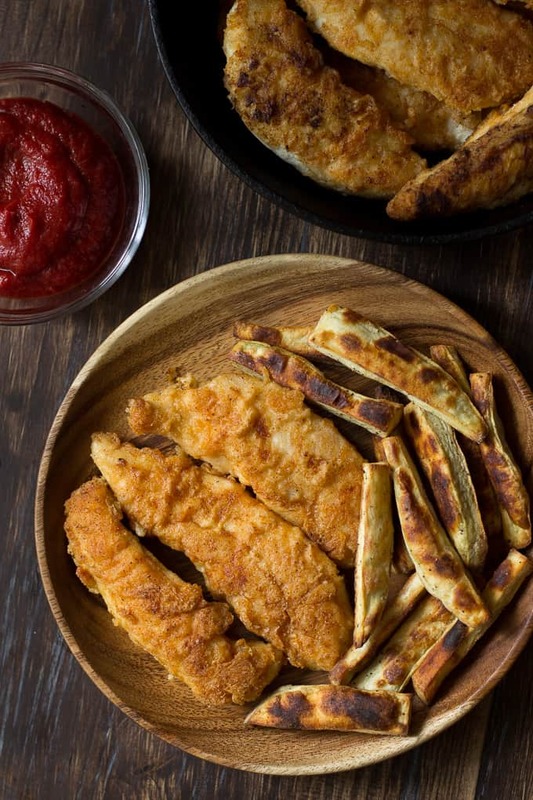 Tonight I made your Crispy Paleo Chicken Fingers and my children loved them! My son Ethan who is 6 years old and so picky had 5 servings!!!!! I am so happy. This journey is not easy for them but I know they all be better off in the long run. I just wanted to say thank you! I’m so thrilled these worked out so well for you and your family! 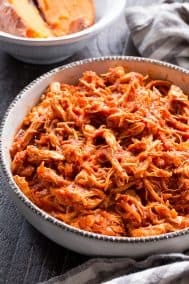 Was looking for a good tender recipe, came to search your site, and you didn’t fail me. 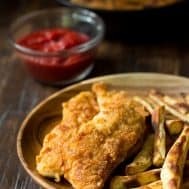 Found these tenders and they were a hit with the entire family. Perfect texture and taste. 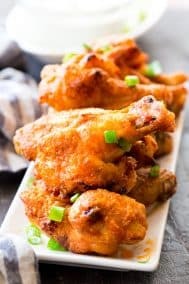 Has anyone tried these in the air fryer? These were really tasty, thanks for the great recipe! I look forward to trying more from your site! Very good flavor and texture. I’ve made these several times. 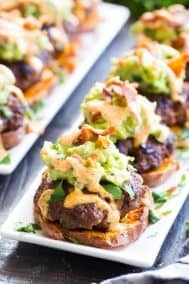 Even my husband will eat these! I added a bit of garlic powder. Delish!! Thanks. Crispy and great flavor. 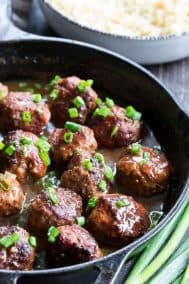 Thank you for a fabulous recipe! I’ve made them a few times now and my whole family loves them. We have a nut allergy kid, so this recipe is so helpful.